Grantley Hall is delighted to announce a partnership with the highly-acclaimed British chef, Shaun Rankin. 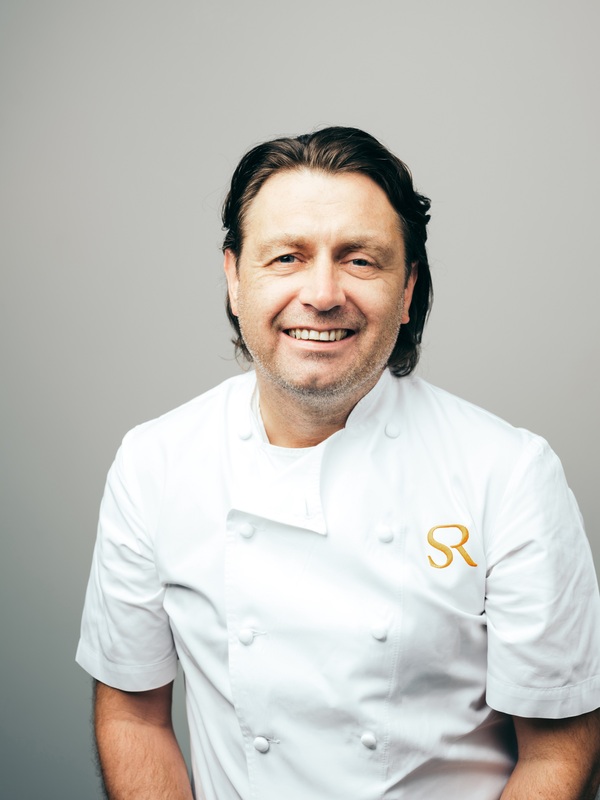 The Yorkshire-born chef, who gained his first Michelin star in 2005, will be returning to his roots to preside over the new luxury hotel’s fine dining restaurant, Shaun Rankin at Grantley Hall when the property opens in late spring 2019. The elegant 38 cover restaurant will showcase what Rankin does best, local produce cooked in season with his unique signature twist. At his request, and to support his vision for locally sourced sustainable produce, the hotel is developing its own kitchen garden complete with bee hives and fruit trees within the grounds. Set in one of the original public rooms in the Grade II* listed Hall, brimming with beautiful original features including ornate cornicework and sash windows with views over the formal gardens. The restaurant will feature bespoke handmade furniture and specially-designed crockery and glassware, carefully selected to reflect the beautiful surroundings. A highlight will be the Chef’s Table, located in the heart of the engine room for up to six guests to enjoy; the adventurous amateur chef will be able to immerse themselves fully in the experience by helping to cook for their table. Signature dishes will include Yorkshire rhubarb crumble soufflé with rosehip and iced clotted cream. Shaun has achieved a number of prestigious awards and accolades during his career including being named ‘Best Newcomer’ for Ormer Jersey in the 2014 Food and Travel Magazine Awards and the restaurant was also shortlisted as ‘Restaurant of The Year-outside of London’ in the magazine’s 2016 awards. Ormer was also crowned ‘Fine Dining Restaurant of the Year’ at the 2017 inaugural Jersey Style Awards. Grantley Hall is set to shake-up the culinary scene in North Yorkshire and in addition to the fine dining Signature restaurant, the property will also boast an experiential Pan-Asian experience; a relaxed all-day dining restaurant; The Drawing Room, serving quintessential British afternoon tea and a spa lounge offering nutritious light meals and snacks. Located at the edge of the Yorkshire Dales, near Ripon, Grantley Hall is tipped to be one of the UK’s most remarkable luxury hotel launches of 2019. The historic Grade II* listed property, complete with a lake and English-heritage listed Japanese garden, is currently undergoing extensive restoration and will open as an exceptional luxury hotel late next spring.